The original front door appears to have originally been a much wider opening, suggesting the house was built as a dogtrot. 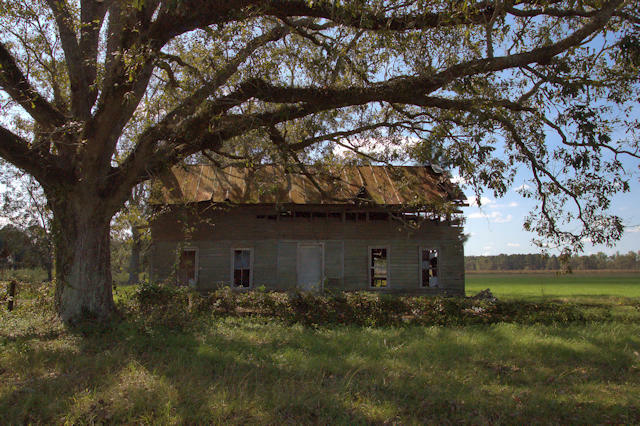 This was a tenant house owned by Colonel Collins – my understanding is that he owned a lot of the surrounding farmland (at least back in the 40’s). 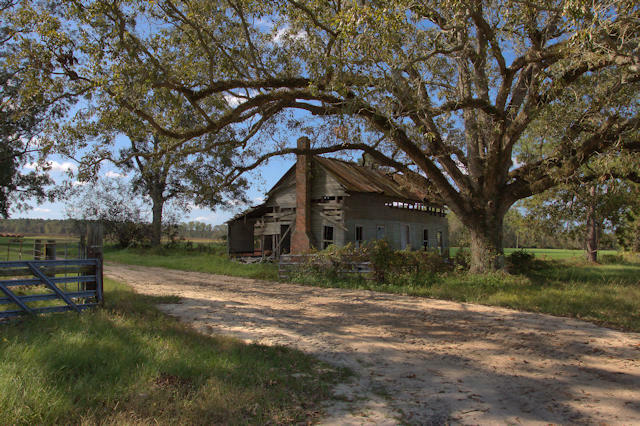 My grandparents (GANEY), father,brothers and sisters (as kids) lived here in the 30’s or early 40’s – sharecroppers. Interesting house Brian, but the tree in the yard is a wonder to behold!